Product #60829 | SKU 267100 | 0.0 (no ratings yet) Thanks for your rating! Lightweight and compact, clamp-on mattebox for 114mm diameter lenses which can hold three 4x5.65 filters. 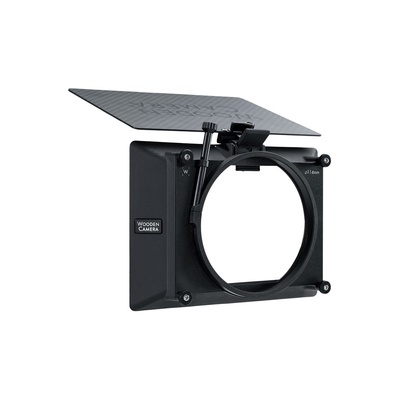 Wooden Camera 114mm Clamp On 4x5.65 Zip Box Pro is a lightweight and compact, clamp-on mattebox for 114mm diameter lenses which can hold three 4x5.65 filters that are loaded from the front and held by a spring loaded latch.